Hi long lost friends! I feel terrible that it has been a minute (or a few months) since I've blogged. I spent a month of the summer on a fabulous road trip! We drove from Mississippi to California to visit my family then up to Portland to see more family then drove from Portland back home to Mississippi. A few days after we got home we had teacher in-service then school started before I knew it. I am teaching at a new school this year and teaching Pre-K so it was a chaotic first couple of weeks. Around the second week of school we found out my boyfriend has testicular cancer. He underwent surgery to remove it and is recovering well. I share this news only to spread awareness. Testicular cancer is the leading cancer in men 18-35 and is very treatable if caught early. My boyfriend is young, healthy and athletic--the guy ran a marathon with cancer--but as many of us know all too well, cancer doesn't discriminate. Encourage the men and boys in your life to perform self-exams. My boyfriend was lucky enough to catch it early because he did. Check out the The Testicular Cancer Awareness Foundation for more information and resources! I captured a picture of what we've been up to at school this past week. We follow a Letter of the Week curriculum and last week the letter was Kk. 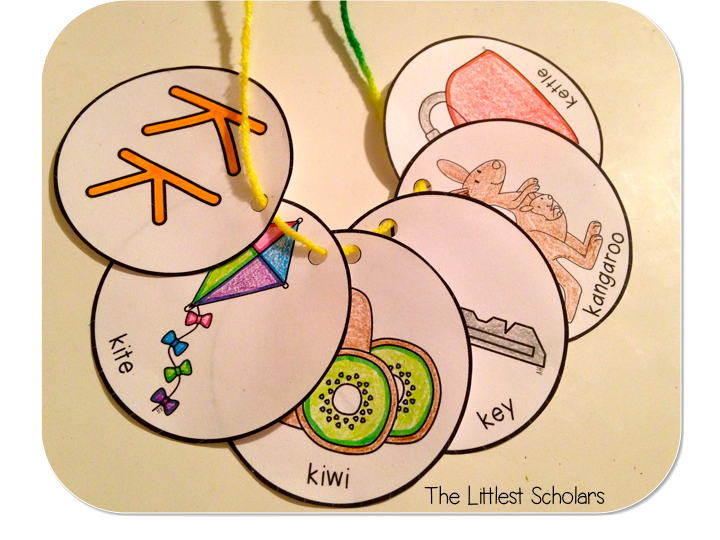 We made cute Letter Kk necklaces to reinforce our learning. We made them on Tuesday and some kiddos even wore there jewelry back to school on Wednesday. I LOVE when they are that excited about learning! Click the picture below to check my ABC Necklaces out. I'll be sure to snap more pictures this week to give you a better idea of what we're up to in Pre-K! 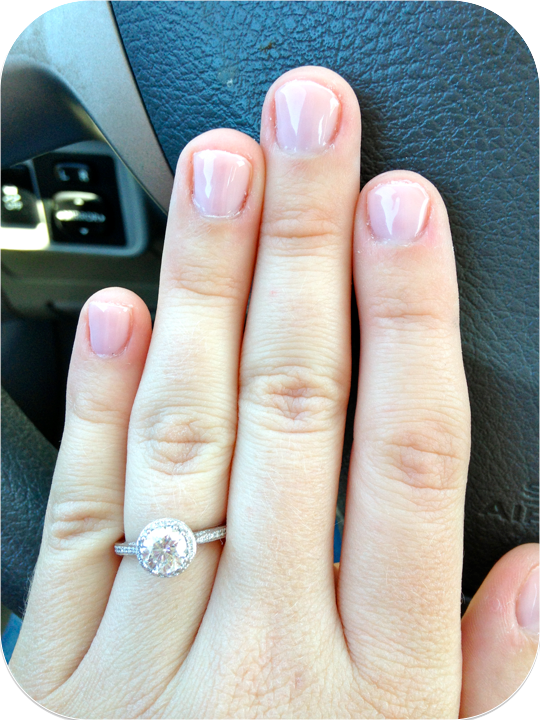 Oh, and one more thing...I wore two pieces of jewelry this week, my Letter Kk necklace and this beauty :) My boyfriend fiance and I got engaged this week too! I'll be back tomorrow with more Pre-K happenings! Wow! Congratulations. :) I just sent the picture of the necklaces to our K teacher. They are absolutely precious. I am sure your kids love wearing them! I have been wondering where you were- missed you in blogland! So glad you've had an amazing summer, and glad to see you back online. I am so sorry to hear about your fiance, and pray for a full recovery for him and prayers for you as you go through this at his side. Best wishes in your new school and class! And congratulations with your engagement!!!!! That's so exciting! Your blog is just AMAZING! Spreading the PreK/K love, cancer awareness, and JOY. I'm so happy for you and your fiance! <3 The only think you forgot in this post is your pit stop in Tulsa, OK to visit your biggest PreK fan :) Love you! you're the best Jessica! I've learned so much from you!